There’s a saying in construction that you have three choices, cheap, good or fast. You can pick two out of three but never all three. I have agreed with that saying since I’ve been working as a trim carpenter. The first time that I wavered on that stance was the first IKEA kitchen I assembled and installed. I couldn’t believe how well and fast it went together, the quality once it was all together and the price of the cabinets. I’ve been installing IKEA kitchens for the past 5 years and I still believe that IKEA is the best kitchen cabinet for the price. Sure you could go with custom cabinets made out of plywood, but you will pay significantly more than IKEA. Plus, you will wait almost two months to get those cabinets delivered, where most times you can have IKEA cabinets delivered within a week. Most homeowners I know want a good product at a good price. I can happily say that IKEA is a good product at a good price. Every single one of my clients love their new IKEA kitchen and most used a natural stone or quartz material for the countertop. For some reason, countertop installers/kitchen designers in my area are very leery of IKEA. Every time I go to a new job, the countertop people are skeptical to put a heavy stone on IKEA cabinets. 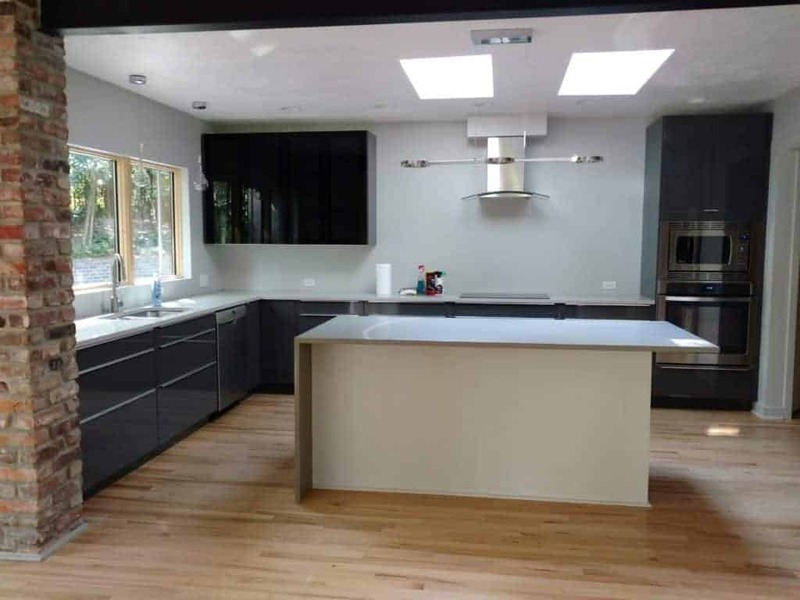 I even had a kitchen designer ask if I thought the IKEA cabinets would hold a quartz countertop and was genuinely surprised when I said yes, of course. I get requests to glue the dowels, put extra reinforcement in around the sinks, you name it. I also read online forums where countertop installers absolutely refuse to install granite on IKEA kitchen cabinets. A lot of general contractors also don’t like IKEA. I once had a plumber come in and basically say in front of the homeowner that IKEA was a bunch of crap and I hear these comments repeated often in person and online by general tradesman who are not familiar with IKEA. They often persuade the homeowner away from using IKEA for another cabinet manufacturer that is more expensive with fewer features. 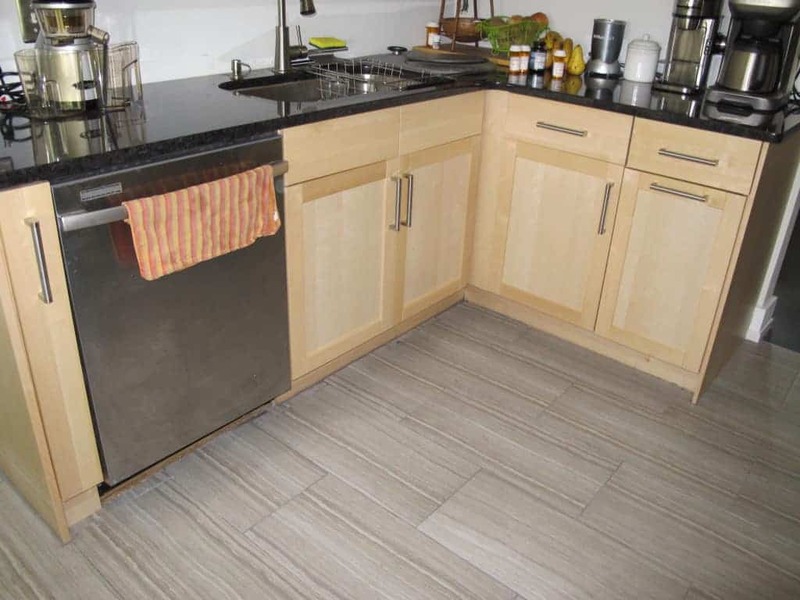 One of the most heard objections about IKEA is that there are limited sizes available to create a custom kitchen look. The new Sektion line has many more options for cabinet sizes and types of doors and drawer fronts. You can go with a sleek slab modern door or a french country look with raised panel doors. The other great feature is that you modify the cabinets to get even more customized sizes since they all use standard drawer and door sizes. IKEA is a frameless cabinet which is the norm over in Europe but most American cabinet manufacturers build face frame cabinets. I like frameless cabinets because you are able to have bigger drawers with more storage and have a cleaner look with just the doors and drawer faces showing. IKEA uses German manufacturer Blum drawer hardware and hinges with soft close as a standard feature on their cabinets. Homeowners will pay 2 or 3 times more for Blum hardware on other cabinets manufacturers. IKEA sells thousands of kitchens everyday at their 380+ plus stores around the world. 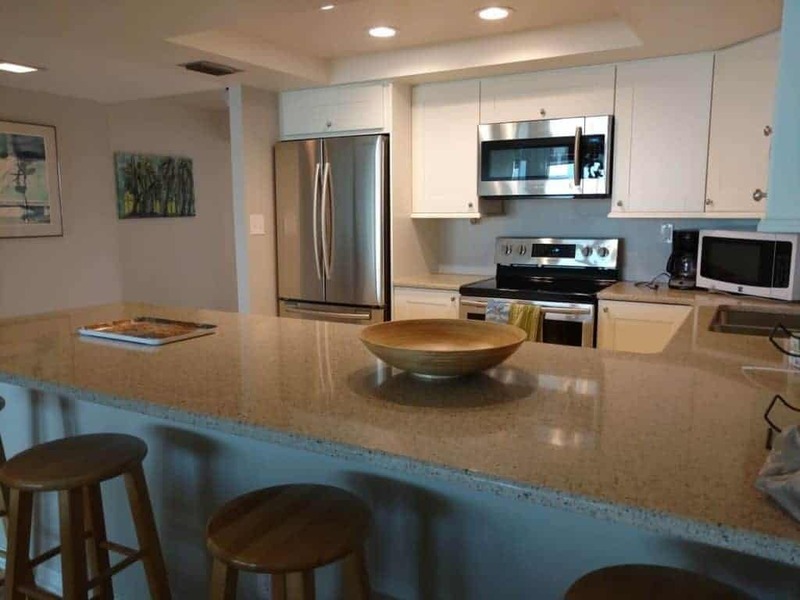 Many of these kitchens have granite, quartz, silestone, and other types of countertops without any issues. IKEA has been ranked first or second in the J.D. Powers Kitchen Cabinet Satisfaction Study for the last 6 years among all cabinet manufacturers. 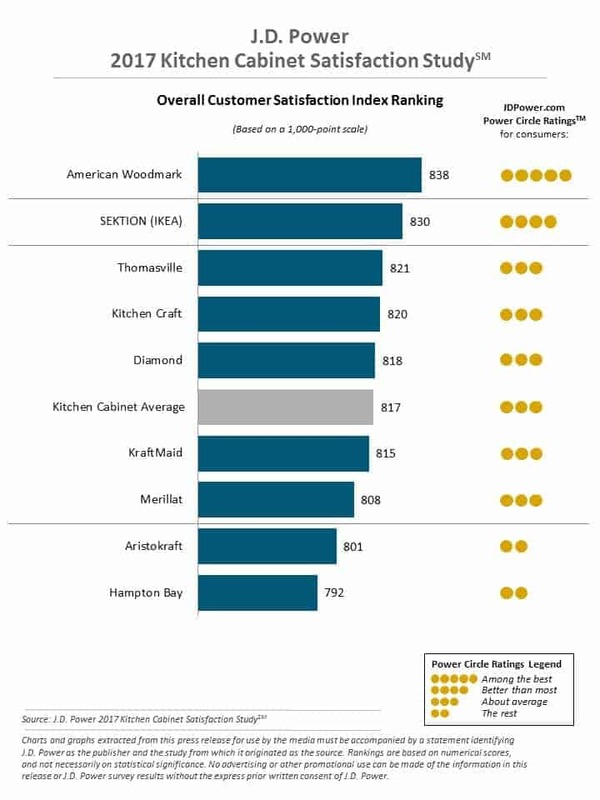 I don’t think they would rank that high if customers didn’t like them and they couldn’t support any type of countertop. If that doesn’t show people are happy with IKEA cabinets and they are built to withstand the daily grind of family life, I don’t know what else to say. Obviously, there is the caveat that the cabinets must be assembled and installed correctly. If you’re looking at remodeling your kitchen, give me a call to discuss IKEA as an option. 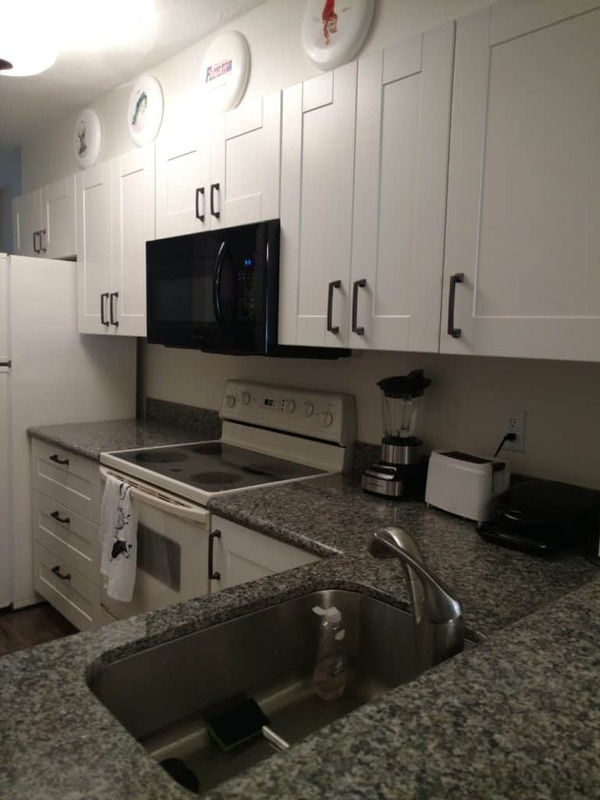 Below are some examples of IKEA kitchens in Gainesville with solid countertops. I started doing custom woodworking and custom projects over ten years ago and continue to find new and exciting projects to work on today. Happily working on projects like installing new flooring, installing kitchen cabinets, door trim and more in the Gainesville, FL area. If you have a particular Ikea assembly or installation need, just email or call and I'd be happy to discuss it with you. Copyright © 2019 | GatorMod is an independent Ikea kitchen installer.